Just because you have wireless networking doesn’t not mean you need to deal with dead spots in the outer corners of your home. Many of these wireless devices have a reputation for being difficult to set up, but the setup is as easy as can be when the Nighthawk AC1900 EX7000 is used, but even more important than that, the dual-band extender provides excellent throughput on both of its bands. The EX7000, unlike most extenders, is expensive and large, but it offers access control and Media Server features along with multiple connectivity ports. Its robust features and first-rate performance make it a top pick for wireless range extenders. The EX7000 is a lot larger than the average plug-in range extender, like the D-Link DAP-1520 Wi-Fi Dual Range Extender. It measures 1.2 (H) x 9.9 (W) x 6.9 (D) inches and features a black, shiny finish. It also sports three adjustable antenna, so that you could easily mistaken it for being a full-blown router, so no matter where it is placed in your home it will most likely stand out. The EX7000 provides speeds of up to 1,900 Mbps (1,300 Mbps on its 5 GHz band and 6,000 Mbps on its 2.4 GHz band), uses a Broadcom BCM 4708 1 GHz dual-core processors, and supports 802.11ac Wi-Fi. It comes equipped with a Power switch, a Reset button, a WPS (Wireless Protected Setup) button, and five gigabit Ethernet ports, that are all located on the back part of the chassis. On the front there is a USB 3.0 port, and the top part of the extender features nine LED status indicators (a USB activity LED, device to extender LED, one for every LAN port, and one for each of the bands). The vertical mount stand can be used to position the extender either vertically or horizontally. It is very easy to manage the EX7000, due to is web-based management user-friendly interface called the NETGEAR genie. A status page is opened by the genie that displays Wi-Fi speed, region, channel, connection information on every band, including SSID, firmware version and signal strength on both of the bands (red is poor, amber is good, green is best). When the Smart Setup button is pressed it takes you over to a screen that allows you to configure the EX7000 as either an access point or an extender. There are tabs on the left side for Logout, Do More, Firmware Update, and Settings. In the Settings section you can change Wi-Fi properties including password, speed, channel, and SSID (network name). You can also use DHCP or have a static IP assigned. Information is displayed on the Connected Devices page about the wireless and wired devices that are connected with the extender, including the MAC address and IP address. The Other Settings page allows you to restart your extender, reset it to the factory defaults, restore previous settings, and back up the Wi-Fi settings. There is an Access Schedule page in the Do More section that allows you set what time of the day that users are able to connect with the extender. There is also a Wi-Fi Coverage page where you can choose from four different wireless output power settings (100, 75, 50, and 25 percent), depending on what your coverage area is. The NETGEAR FastLane technology allows you configure your extender so that one band is used for connecting to the router and then saving the other band to use for wireless network traffic. Finally, on the USB Port page you can enable TiVo and Media Server support. You can also enable file sharing and printer sharing on connected USB devices. The installation process for the EX7000 is easy and fast. First you power the extender up, and then choose the NETGEAR Ext SSID in the Wi-Fi control panel of your wireless device. A New Extender Setup page is then launched where you need to create account with password, email address and two security questions. Then choose a mode (Access Point or Extender) as well as a Wi-Fi network for connecting to. Finally enter the Wi-Fi password of your router. You will then have the option for entering SSID names and assigning unique passwords for each of the bands if you want, or the default NETGEAR passwords and names can be used. That’s all you need to do. At that point you can connected with one of the bands on the extender through the use of the Wi-Fi control panel. In tests, the EX7000 delivered good range and very fast throughput, especially on its 5 GHz band. I our close proximity test (in the same room) it measured a 179 Mbps average throughput. That is significantly faster than the Amped Wireless REA20 Extender, which was our previous leader, that had an average 50 Mbps throughput, and much faster than the NETGEAR AC1200 which managed 31 Mbps on average. At a 50 foot distance, the EX7000 delivered a 105 Mbps average throughput, which completely blew away the closest competitors of 44 Mbps for the Amped REA20 and 34 Mbps for the D-Link DAP-1520. At 75 feet, the throughput went down to 31.1 Mbps, but the EX7000 still greatly outperformed all of the competition. The EX7000 operates on a 2.4 GHz band, and tied for first place on the close proximity test with the Amped REA20, which both had speeds of 50 Mbps. The throughput of the EX7000 from 50 feet was 28.6 which beat the 25 Mbps of the NETGEAR AC1200 and 18 Mbps of the Amped REA20. Its 26.9 Mbps speed from 75 feat was also the leader. The NETGEAR Nighthawk EX7000 provides you with the range performance and throughput that is necessary for providing all corners of your house with robust wireless coverage. It is very easy to install and provides enough wired LAN ports for connecting networked devices like HDTVs and gaming consoles. It also offers FastLane technology and access control scheduling that allows you to optimize the bandwidth through directing wireless traffic onto a specific band. Although the EX7000 is expensive, it is a little less expensive than the Amped REA20, and outperforms it across the board. 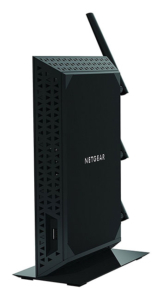 The NETGEAR EX6200 will save you a bit of money and provides a friendly user interface and lots of features, but can’t touch the performance of the EX7000.